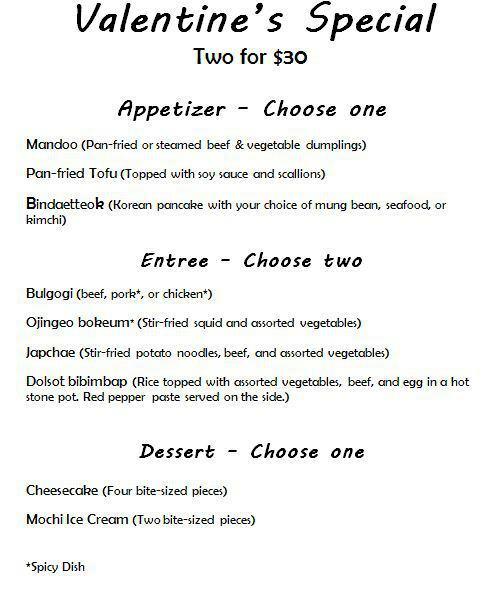 Frequent Visitor Cards - Buy 7 lunches or dinner and get the 8th free. Ask your server for a lunch or dinner card. 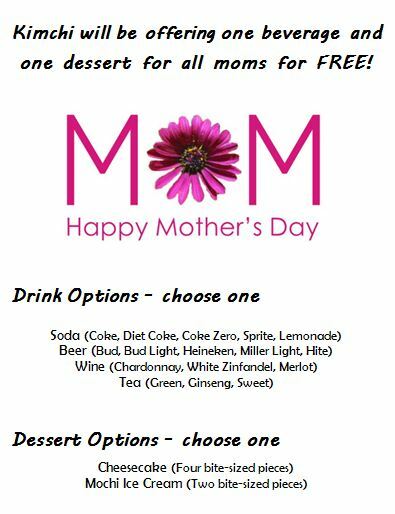 Celebrate Mother's Day with a free beverage and dessert for all moms! I've been there several times now and I love this place! The food is very traditional and the ambience is great. Not only that, their kimchi is really delicious, too. Sometimes Korean restaurants will serve kimchi that isn't all that tasty but Kimchi has some of the best I've had and I've even bought some! (yes you can buy kimchi from Kimchi) I try to go as often as possible.